For a town that is famous as a holiday resort, Torrevieja has surprisingly very few hotels. In fact, Benidorm has more bed-nights per single night than Torrevieja has in the whole year. The main reason for this is that Torrevieja has never been a package-tour destination but, rather, it is famous for its residential tourism where tens of thousands of Spaniards and North Europeans have second or holiday homes. Neverthless, Torrevieja does have a number of hotels in all price ranges. 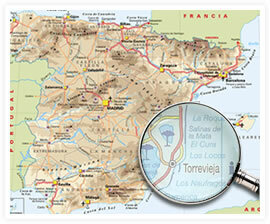 Hotel La Laguna – “the best hotel in Torrevieja” is not actually in Torrevieja but just over the border in Rojales! That said, it is the principal hotel in the area. It has a spa and conference facilities. It is a favourite choice for local Spanish families for their wedding festivities and over the years the hotel has proven itself a quality venue with professional staff and management. I have personally used it dozens of times and can commend it highly. Hotel Cabo Cervera – a functional if not particularly aesthetically pleasing hotel. It is not pretentious and would be a safe bet for both business travellers and holidaymakers alike. It has a great location on the seafront 3o minutes’ walk from the centre. It has conference facilities. Hotel Torrejoven – another budget hotel but one that has been carefully and completely refurbished over the past few years. It is very busy in summer as it is popular with Spanish tourists but it offers tremendous off season rates. It’s only 2 minutes’ walk to the beach and is surrounded by everything a tourist would want – bars, restaurants, banks, souvenir shops etc. Especially out of season you get a lot of “bang for your buck”. Hotel La Torre (Los Montesinos) This is another hotel just outside the Torrevieja boundary and a good base for touring the area especially if you do not want to be on the beach, “in the action” during your stay. It is a pleasant-enough modern hotel offering basic but functional rooms in a basic but functional hotel. 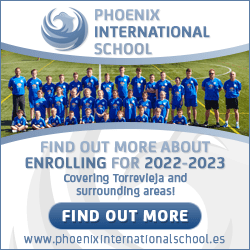 It is a 5 minute walk to the small town of Los Montesinos and 15 minutes to Quesada, Rojales. Hotel La Zenia. If this were the only hotel in the area, I would prefer to sleep on the beach……or even the middle of the road! I have had appalling treatment here and nowadays I refuse to even enter the doors. That said, it is a very popular hotel in a terrific location by the beach. So, my view is subjective and you may find it an excellent hotel. It’s actually not in Torrevieja but is in Orihuela Costa. Depending on the traffic it’s 10 minutes by car to Torrevieja centre or you may prefer a walk along the seafront. This would be about an hour at a gentle stroll. It’s part of a major Spanish hotel group and is popular with Spanish and international travellers alike. Not my choice but definitely well-thought of by others.